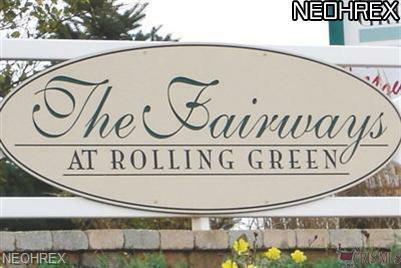 Don't miss outlots are limited in The Fairways at Rolling Green! Bring your builder to this country-like setting with golf course views and some pond views. Development includes sidewalks, curbs and street lights! Building Restrictions: one story home 2000sf, two story home 2400sf, split level home 2200sf, Cape Cod home 2200sf. All new builds subject to Architectural Review. Conveniently located near schools, retail, Rt. 77, Akron Canton Airport and Southern Summit County.